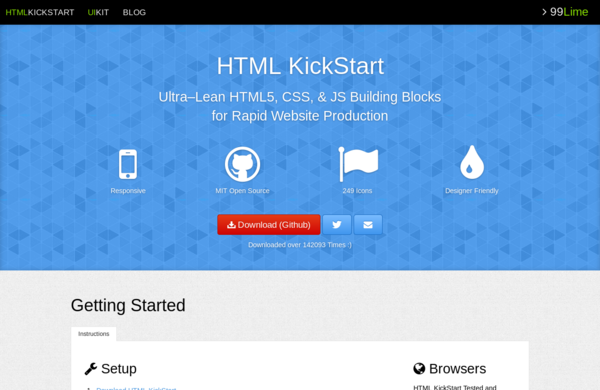 Being relatively simple, HTML KickStart is easy to master. Download the package from the project's website, unpack it, and move the files in the resulting directory to the root of your web server. Open then the elements.html page in the browser and see and study the examples. You can then use the supplied example.html page as a starting point for your website. It took me only a couple of hours to build my personal website using HTML KickStart.